This double-sided block holds 50 cases and helps streamline powder charging and inspection. Fits 223, 308 and magnum case size heads. 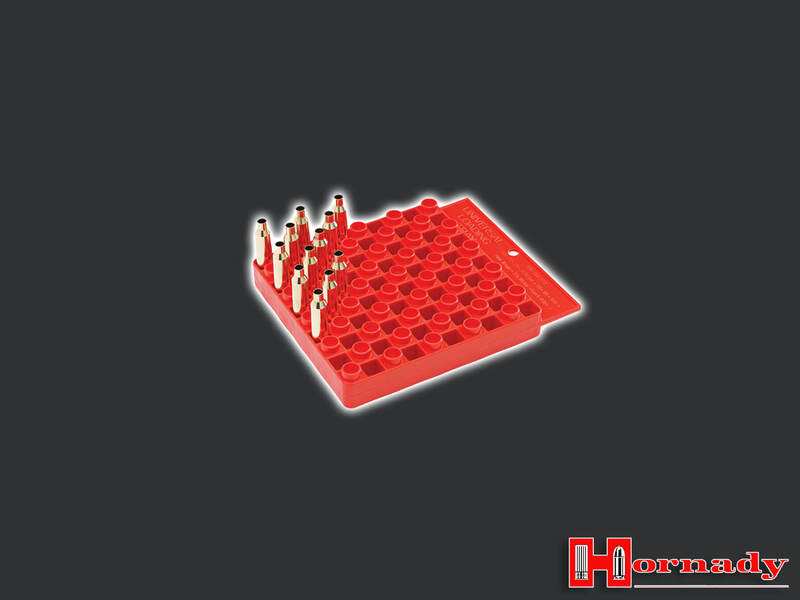 Also works with the Hornady Fast Load Powder Measure Stand.